Medical Cannabis newsletter is a comprehensive summary of the day’s most important blog posts and news articles from the best Medical Cannabis websites on the web, and delivered to your email inbox each morning. To subscribe, simply provide us with your email address. Worldwide About Blog Medical & adult-use cannabis news, strains, events and more from the world’s cannabis information resource. Explore the latest cannabis news, lifestyle tips, education and more from Leafly, the world’s cannabis information resource. Denver, Colorado About Blog The culture of cannabis, that’s what we’re here to talk about. The Cannabist is a place of ideas, people, art, food and news. In this space we’ll share stories of medical inspirations, basement hilarity, state house debates, earthy aromas, kitchen triumphs and more. Washington DC About Blog NORML supports the right of adults to use marijuana responsibly, whether for medical or personal purposes. All penalties, both civil and criminal, should be eliminated for responsible use. NORML’s mission is to move public opinion sufficiently to achieve the repeal of marijuana prohibition so that the responsible use of cannabis by adults is no longer subject to penalty. Denver, CO About Blog Leafbuyer is the deals and dispensary database of Leafbuyer Technologies, Inc. Founded in 2012 by a group of technology and industry veterans, Leafbuyer is the #1 online resource for cannabis deals and specials. We aim to provide valuable information for the savvy cannabis consumer looking to make a purchase. Leafbuyer’s blog helps consumers stay up to date with medical and recreational marijuana dispensaries, news, guides, deals, and much more!! Leamington, Ontario About Blog Aphria is a licensed medical cannabis producer approved by Health Canada under ACMPR. Aphria’s aim is to utilize already proven methods in one industry and transfer those practises to help Canadians with the multitude of health issues where cannabis has been a proven medicinal approach to relief. California About Blog A place to connect, share, discuss and debate Medical Marijuana. Plus, an extensive dispensary database where you can find what you’ve been searching for. Flamborough, Ontario – Canada About Blog Based in Ontario, Canada, Green Relief is a licensed producer under Health Canada’s Access to Cannabis for Medical Purposes Regulations. Our mission is simple: help our patients improve their quality of life. We also envision furthering the science of medical cannabis through research and using cannabis to advance sustainable agriculture around the world. Maine About Blog Our mission is to provide qualified Maine residents with an array of wellness-related services and the highest quality medical marijuana at reasonable cost to them, to support patients’ full-spectrum wellness, and to foster education about medical marijuana throughout the state. Cottage Grove, MN About Blog Industry leading Botaniceutical medical cannabis formulations. Pharmacist driven cannabinoid therapies. Medical Marijuana’s new standard. Physician-led Registered Minnesota Medical Cannabis Manufacturer. Facebook fans 565. Twitter followers 6,925. Gilbert, AZ 85234 About Blog Green Cross Patient Center’s compassionate staff can guide you through the Medical Marijuana certification process, and answer any questions you may have about the Arizona Medical Marij. Browse through the most frequently asked questions on the topics of Medical Cannabis, obtaining a medical card, Arizona’s laws & procedures, pain management, and more. Pretoria, South Africa About Blog Medical Cannabis Oils South Africa is the most trusted and premier online resource for medical cannabis and it’s health benefits. Medical Cannabis Oils offers quality cannabis oil products: capsules, tinctures & topicals. Truckee, CA About Blog We’re a cannabis company founded by Brian Chaplin. We believe that mindful cannabis consumption is essential to a good experience. Dosage is one of the biggest factors when it comes to using cannabis products successfully. South Africa About Blog NORML supports the right of adults to use cannabis responsibly, whether for medical or personal purposes. All penalties, both civil and criminal, should be eliminated for responsible use, possession and cultivation. Further, to eliminate the crime, corruption and violence associated with illicit cannabis trade – a legally regulated market should be established where consumers could buy cannabis in a safe and secure environment. New York About Blog edical Marijuana Recs NY provides online consultations and assessments to determine if you qualify for medical marijuana use in NYS. From new certifications for first time users to re-certifications for existing patients, we’re here to help with all of your medical marijuana card needs. 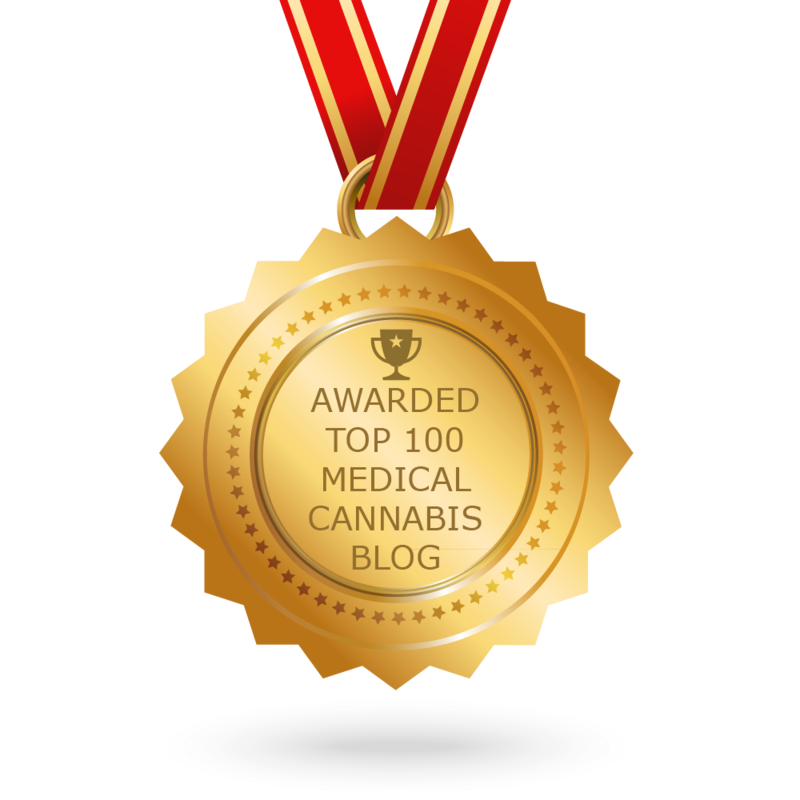 The post Top 100 Medical Cannabis Blogs, Websites and Newsletters To Follow in 2018 appeared first on Feedspot Blog.